This writing prompt is fun. 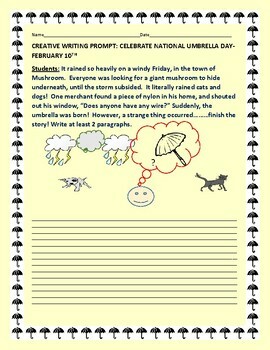 Students are asked to end a story that has to do with the weather, and the invention of the umbrella. Thanks for visiting the House of The Three Dinosaurs.